VeryPDF Table Extractor OCR – Recognize PDF and image characters with OCR and save created table as CSV, XLS, HTML, PPTX, DOCX, etc. formats. Extract table from PDF document. Recognize characters from PDF and image and save as table. Support both Windows and Mac OS X systems. 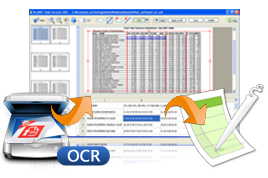 VeryPDF Table Extractor OCR is designed to extract tables from scanned,normal PDF or image and then recognize characters in PDF or image in different languages with OCR technology. It supports to draw lines to recognized characters and form new table in both Windows and Mac OS X systems. Then it can save created table as CSV, XLS, XLSX, HTML, etc. file formats. 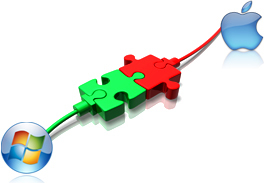 Windows 2000 / XP / Server 2003 / Vista / Server 2008 / 7 and Later systems, both 32bit and 64bit systems. VeryPDF Table Extractor OCR supports to extract tables from normal PDF or scanned PDF document with Optical Character Recognition technology with high efficiency and quality. In the extracted table, you can also add or delete vertical lines according to your needs. VeryPDF Table Extractor OCR allows to deskew the input PDF document if it is a skew one in the range of 15 degree. It also supports to despeckle the PDF documents which are full of dots and speckles by using the clean tools and create a new clean document at last. 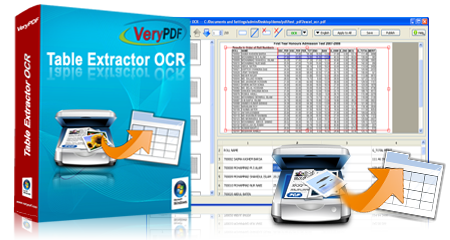 VeryPDF Table Extractor OCR is specially designed for both Windows and Mac OS X system for different users. The operation methods and interface of these two versions are the same. If you can master one version, you will be able to use the other one freely. Two versions for Mac OS X and Windows users. Support various input and output formats. Input file format: PDF, BMP, JPG, JPEG, JPE and GIF. Output file format: CSV, XLS, HTML, PPTX, DOCX, XLSX, RTF and TXT. Apply the rule for the present page to all the rest pages. Allow to preview and compare the original tables with the result tables. Highlight the corresponding original text when click on the text on the main interface. Support zoom in and zoom out functions. Change the color of input files into black- and- white ones by changing the threshold value. Clean input files that are full of dots and speckles. Automatically deskew the input file when the skewed angle is less that 15 degree. Rotate input files by different degrees. Enhance the quality of the input file. Select any area of each page of the input file to OCR. Convert PDF files to Excel spreadsheets. It supports batch conversion of multiple password encrypted PDF files. 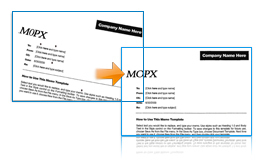 Convert PDF to Word (DOC, DOCX and RTF) format. It also provides a command line tool that can be used in a script. Recognize characters from scanned files and scanners and save as Word. The application can retain the original layout perfectly.